SINGAPORE (Kyodo) — Ministers from the 16 countries negotiating for what will be the world’s largest free trade area agreed Friday on a package of deliverables that they hope to achieve by the end of the year. "We concluded a package that will be used by the negotiators to try and find a substantial conclusion by year-end, so that the leaders can announce something," an official from an ASEAN country said. He was speaking to reporters at the end of a two-day meeting of ministers in Singapore held to give a political push to the Regional Comprehensive Economic Partnership. "It was a very intense discussion in the last two days because there were gaps that we need to fill in among some of the members," he said. A joint statement released after the ministerial meeting said that the ministers "adopted a package of year-end deliverables." They "expressed the hope that completion of the package would signify the substantial conclusion of the RCEP negotiations this year." Asked about the difficulties between China and India said to be the main stumbling block for the negotiations to be concluded over the last several years, the official said there is a need for some kind of a middle path for them to have a mutually beneficial agreement. "Now that we have agreed on the package, it will be easier for the negotiators now to have a path forward in trying to find a conclusion to those difficult areas," he opined. "We are still not comfortable with the overall conclusion, but we have not concluded the negotiations yet, so there is still work to be done for us to get to the final outcome," he added. Indian Minister of Commerce and Industry Suresh Prabhu said he had concerns during the meeting about some elements of the proposed agreement. He said India continues to face some social challenge in terms of poverty as well as having a large population based on agriculture. "All those concerns have been expressed and I am sure they’ll be addressed by negotiations which we will continue in 2019," he said. Another official from an ASEAN country said that while all 16 countries agreed on the targets in this package, they have not yet realized the targets as there are sensitive, political issues regarding which some governments need to seek consultation. He said that the negotiating countries "need to be flexible, to accommodate the differing levels of development of certain countries." 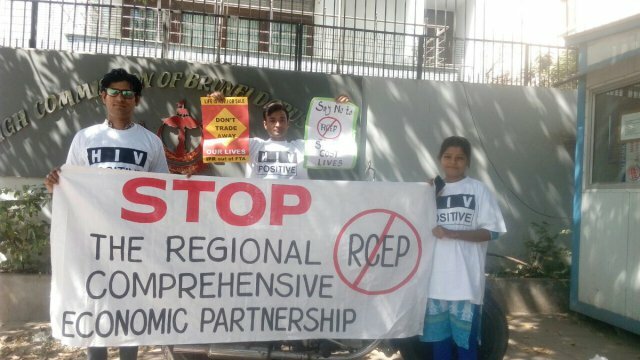 Officials said an RCEP chief negotiators’ meeting is slated to be held in Auckland in late October before the next RCEP ministerial meeting, just before the ASEAN leaders’ summit in November. RCEP groups the 10 countries of the Association of Southeast Asian Nations — Brunei, Cambodia, Indonesia, Laos, Malaysia, Myanmar, the Philippines, Singapore, Thailand and Vietnam — plus Japan, China, South Korea, India, Australia and New Zealand.